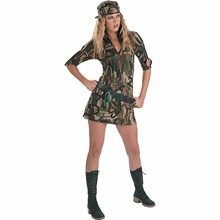 Army Brat Child Girl Costume; Get ready to lead your squad in the zone in this stylish Girl Costume!This Army Brat Girl Costume includes Sequin-accented camo dress with attached shrug, mesh underskirt and matching ball cap. This beautiful dress has a silver star on the top, and four silver buttons on the skirt. 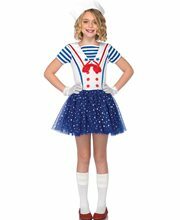 This Girl Costume is available in Child sizes Small (4-6), Medium (8-10), and Large (12-14). 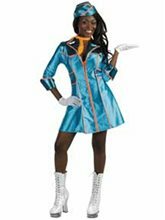 Sweetheart Firefighter Junior Costume.Includes: Sweetheart Firefighter Dress.Available Size: Junior - Small/Medium, Junior - Medium/Large. (See Size Chart For More Information) *Stockings, Dress, Hat, Fire Extinguisher Backpack and Shoes Not Included. Accessories Sold Separately. Material: 100% Polyester. (Exclusive of Decoration)Care Instructions: Hand wash cold. Only non-chlorine bleach when needed. Drip dry. Do not iron. 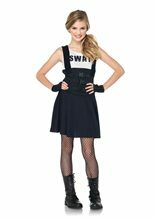 Sweetheart Firefighter features suspender dress with reflective trim and flag patch.Made in China.